New Delhi: He lived his life solving puzzles of the unknown. Now, his death is shrouded in one. 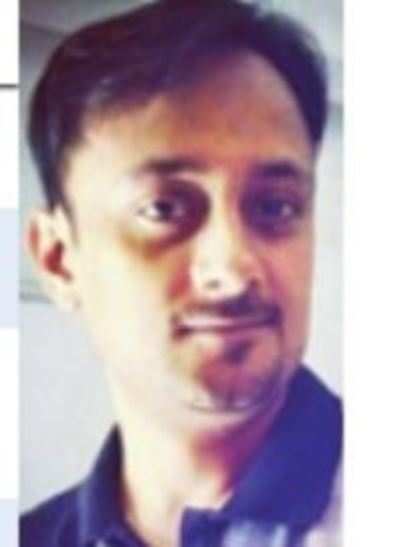 Gaurav Tiwari, CEO and founder of an organisation called the Indian Paranormal Society, was found dead under mysterious circumstances in the bathroom of his Dwarka flat on Thursday morning. Police suspect Gaurav, 32, committed suicide but they are clueless about the motive. The family says they can’t believe he could have killed himself as he was “perfectly normal”. According to the Indian Paranormal Society website, Gaurav, a pilot by training, had visited over 6,000 `haunted’ locations and investigated hauntings, `UFO abductions’ and `mysterious creatures’. His father, Uday Tiwari, told TOI that Gaurav had got married just a few months ago.”He told his wife a month ago that a negative force was pulling him towards it. He had said he was trying to control it but seemed unable to do so. My daughter-in-law ignored it thinking he was just depressed due to work overload and did not tell us about it,” he said. “We don’t believe in ghosts etc, but his death has left us shocked and puzzled,” Uday added. An inquest, legal proceedings under 174 CrPC in case of unnatural deaths, has been initiated into the death by DCP (southwest) Surendra Kumar. Tiwari’ friends said his career as a commercial pilot went on a downward spiral after he shifted into a house that was deemed `haunted’. This got him to study the paranormal. He left his job and became a certified expert on paranormal activity. “He was a certified paranormal investigator, a certified UFO field investigator and a para-nexus representative in India. He has been part of shows such as Haunted Weekends with Sunny Leone and MTV’s girl’s night out with VJ Ranvijay . He has shows like Bhoot Aaya and Fear Files to his credit. He also acted in two movies, 16 December and Tango Charlie,” said a colleague who did not wish to be named. “Tiwari’s sudden death has left not just the family but members of the paranormal society shocked,” said the colleague. Tiwari lived in a flat in Dwarka’s sector 19 with his parents and wife. He fell in the bathroom around 11am on Thursday. Tiwari’s father said he was checking his mails at that time while his wife was in the drawing room having coffee. “Suddenly, we heard a loud thud and rushed to the bathroom. My daughter-in-law tried to peep in and found him lying unconscious. We somehow managed to open the door and resuscitate him but he did not respond. He was taken to hospital but did not survive,” the father said. The police were subsequently informed and a postmortem conducted. Police found a black line around the neck and said the cause of death was asphyxia. The house and his mobile phone were searched for clues but nothing substantial could be found. The possibility that he may have fallen on the floor and died, as the family initially suspected, is also being explored. Police are waiting for the full autopsy report.